Most people can agree that some diets are just way too complicated. Some require you to meticulously count calories, while others ask you to eat according to your blood type. Often times, it can get downright confusing as to what you can eat and when you can eat it. Well, I have some good news. The Paleo Diet Plan is probably the simplest way to eat clean and improve your fitness. In a nutshell, if it didn’t exist in the Paleolithic era, then you shouldn’t eat it. Welcome to the third installment of the WCT series on Diets. 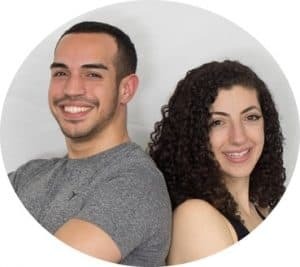 In Part 2, The Ketogenic Diet: An Unconventional Way To Lose Weight and Burn Fat, we examine how entering a state of ketosis affects your metabolism. Today we are discussing the Paleo Diet. What are the benefits? What are the disadvantages? Which foods can you eat? Which foods must you avoid? Should busy professionals try the Paleo diet plan? The Paleo Diet, also known as the caveman diet is exactly what it sounds like. The goal is to eat like a caveman. In other words, you can only eat food that could be hunted or gathered. Sorry, Twinkies, Doritos and Ding Dongs are off the table. As are grains and crops, both of which require agriculture, a technology not available to our Paleolithic ancestors. You might be thinking, why would I want to eat like a caveman? The premise is that our ancestors were healthy and fit because they had to perform physical work to get their food. In addition, they adapted to eating real, NATURAL food, not the processed junk we find on our grocery shelves. Proponents of the Paleo Diet Plan believe that the change from a hunter-gatherer diet, to an agricultural diet rich in grains and carbohydrates is the reason why obesity and metabolic disorders are so prevalent in our society. That’s pretty much it. 8 natural food groups. 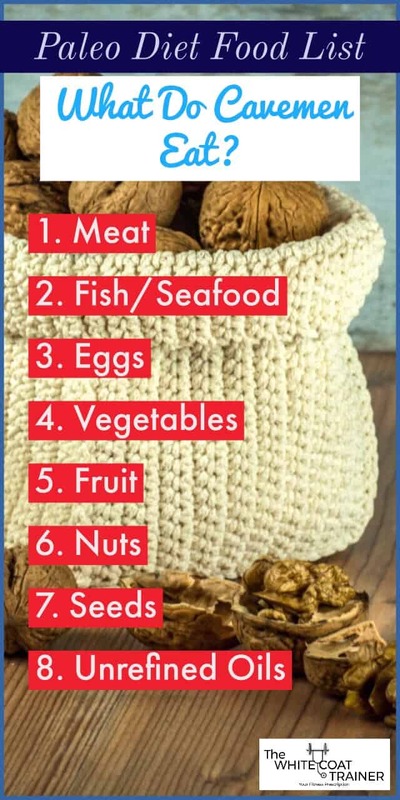 This makes the paleo shopping list extremely easy to plan for. Check out this easy paleo shopping list for beginners made by Greatist. Your diet couldn’t get any simpler than this. As you can tell, you will probably have to get rid of a lot of food in your refrigerator and pantry. 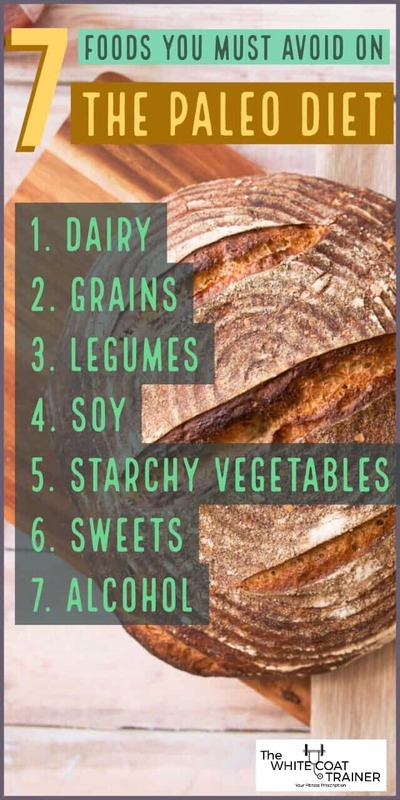 Here are the top 7 foods you must avoid. If it comes in a box, then you cannot eat it. No rice, no quinoa, no bread, no oats, no pasta, no sugars and no booze. I Can’t Drink Alcohol on This Diet? You can do whatever you like. 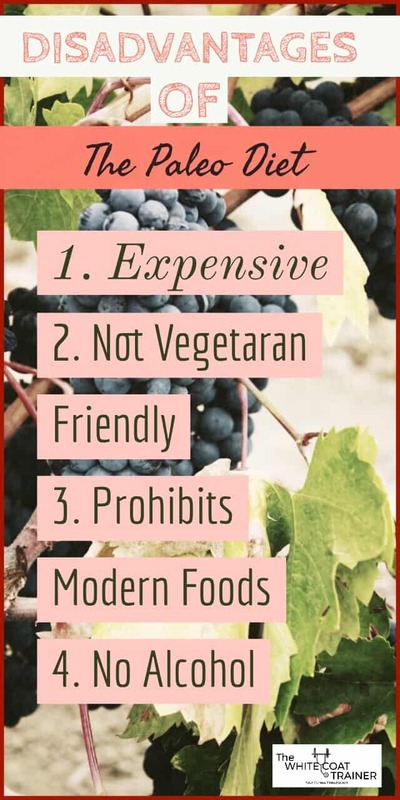 However, if you are truly following this diet to a tee, alcohol is strictly prohibited. No beer, no wine, no tequila, whiskey or vodka. Is The Paleo Diet Just Another Low Carb Diet? Other low carbs diet simply ask you to decrease your carbohydrate intake and do not give much guidance over which foods you should prioritize. The Paleo diet is very strict over which foods you can consume, and which foods you must absolutely avoid. With that said, your carbohydrate consumption will certainly be a lot lower than a traditional Western Diet since the only carbs you can consume come from fruits and vegetables. There is no doubt that eating Paleo can be healthy. First of all, it encourages you to consume a wide range of fruits and vegetables, which is absolutely critical to health and wellbeing. Vegetables are the only way to consume all of the nutrients your body needs to run efficiently. Secondly, you are prohibited from eating low quality, highly processed foods that offer little to no nutrition. While this can be difficult for most people, you will find that fruits are an acceptable alternative for sweets whenever you have a sugar cravings. Lastly, you can only drink water, black coffee and unsweetened tea on this diet. Liquid calories are a huge problem in our society, and a leading contributor to obesity and other metabolic disorders. With that said, it is important to consume a varied and balanced diet when following Paleo. As with anything, Paleo can be dangerous if you do not follow it the right way. For example, if you choose to just eat high amounts of red meat all the time, you may put yourself in a situation where you increase your risk of high cholesterol and heart disease. Do your best to vary your protein intake between lean meats, wild caught fish, and high quality eggs. 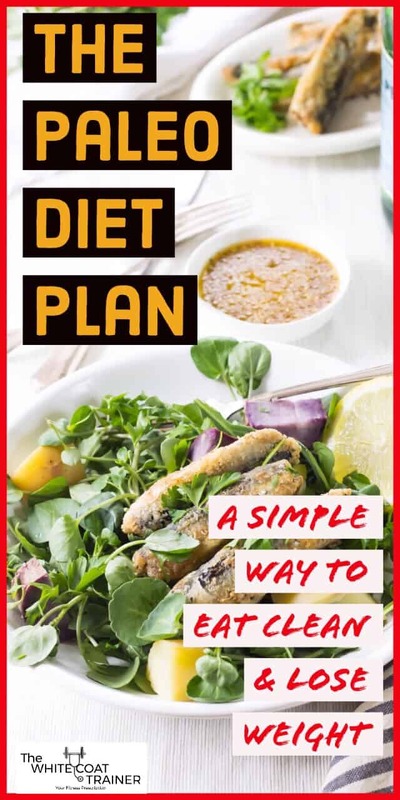 In many ways the Paleo diet plan is very similar to the keto diet. Both require you to get healthy fats into your system, consume plenty of vegetables, and to eat high quality animal products. However, the Paleo diet does not have a strict carb count, and it allows you to consume all types of fruits. Fruits were present back in the Paleo era, so therefore they are fair game. The keto diet on the other hand restricts most fruits because of their high sugar content. The purpose of the keto diet is to force your body to burn fat and produce ketone bodies for energy. Sugar consumption will prevent this from happening. In addition, the keto diet isn’t as strict on the foods you must avoid. Just as long as you stay under 30 grams of carbohydrates per day, you could get away with consuming some legumes, grains and soy products. Are There Other Benefits of the Paleo Diet? Ok, now that we have that our of the way, let’s enumerate the benefits of eating paleo. There is no doubt that eating Paleo will significantly simplify your diet. Either the food existed in the Paleo era or it didn’t. If you have to think hard about whether or not you should eat something, the answer is probably no. Now, there are definitely ways to get creative. You can technically bake a cake that is Paleo approved (using almond flour), or make Paleo cookies (using coconut meal). You can find a list of great paleo recipes here. As we mentioned above, eating Paleo will increase the likelihood that you will eat clean. The Paleo diet does not allow you to eat processed foods or low quality carbohydrates. It’s hard to go wrong when your diet mainly consists of vegetables, fruits, nuts and high quality animal products. Similar to the Keto diet, the Paleo diet will curb your appetite. You are not required to count calories or macronutrients because the foods that you consume on this diet will be very satiating. In addition, the Paleo diet will help improve your insulin sensitivity. If you are constantly eating carbohydrate rich meals, your insulin will be on overdrive working to process that sugar for energy and storage. Instead, Paleo encourages you to eat healthy fats, and a ton of vegetables. This will naturally maintain the amount of sugar in your bloodstream at a healthy level, and keep your insulin in check. Protein is the most important macronutrient that you can consume. It is the necessary macronutrient to maintain and build lean muscle mass. If you don’t already know the importance of lean muscle mass, I suggest you check out The 3 Best Exercises To Lose Weight And Build Muscle. 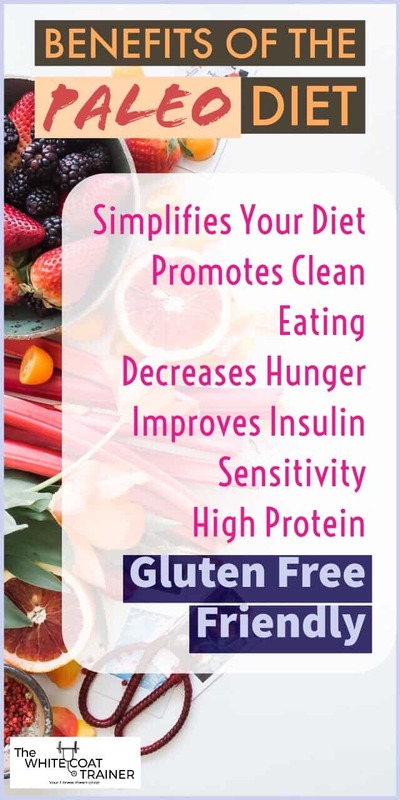 Lastly, the Paleo diet works well with for those with Celiac’s disease or gluten insensitivity. There is no gluten present in any of the Paleo approved food list. As you could imagine, the Paleo Diet plan does have a few disadvantages. Given that the Paleo diet requires you to consume a decent amount of meat and fish, it is of high importance that you purchase the good stuff. As always, do your best to consume as much grass fed meats, wild caught fish, and organic free range eggs rather than the conventionally/farm raised counterparts. High quality animal products come at a premium. In addition, the different types of nut and seed varieties also aren’t cheap. With that said, only you can put a value to how much you are willing to pay for the food you will put into your body. Will you pay top dollar for expensive booze, or for your nutrition? This diet does not allow soy, legume or grain consumption, which are the primary sources of protein in a vegetarian diet. The keto diet on the other hand, can be successfully followed by vegetarians. From this point forward, you will likely have to be the awkward person at social gatherings that doesn’t eat. No more pizza parties, no more birthday cake, and no more booze. In addition, many restaurants use some type of soy, dairy or grain in their ingredients, making it difficult to eat out. The Paleo diet has other criticisms as well. First of all, we can only guess at what our ancestors actually ate. They probably hunted big game- meat that isn’t readily available to us. It is unlikely that they primarily consumed chicken and cows (which is what the majority of our meat industry provides us). In addition, it is possible that the vegetables they consumed probably do not resemble the vegetables we have access to in our supermarkets. Secondly, this diet assumes that our ancestors never ate grains or legumes. There is plenty of evidence that these foods existed in the past, and therefore, highly likely that grains were a part of their diet. The Paleo diet, like every other diet has its advantages and disadvantages. Nevertheless, it can still be a useful way to lose weight. By eliminating processed foods and low quality carbohydrates from your diet, you are going to decrease your consumption of nutrient deprived foods. High quality meats, vegetables, nuts, and seeds are all nutrient dense foods that will give your body the building blocks that it needs in order to run smoothly. To learn how this works check out How To Lose Weight Naturally Using The Incredible Power of Food. Don’t worry about counting your calories. Calories are not the end all be all. By eating Paleo approved foods, you are likely to restore a healthy hormonal profile, and thus a healthy body weight. Here is a sample meal plan that you could follow to get you started. The Paleo diet gets a lot of things right. It recommends consuming whole foods, lots of vegetables, healthy fats, and lean proteins, all of which are great. However, many individuals find that the diet is simply too restrictive or anxiety provoking. People tend to miss carbs! As such, some have advocated for the inclusion of small amounts of dairy into the diet, a combo called Paleo + Dairy. Others have also added small amounts of grains back into the mix, because they simply missed them. The important thing to note is that the Paleo diet doesn’t have to be an all or none eating pattern. You can use the principles laid out above, and add in small amounts of healthy carbohydrates as needed. 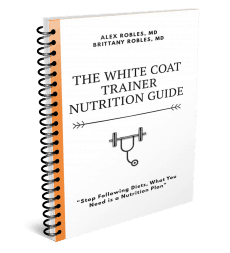 Does The WCT Recommend The Paleo Diet? 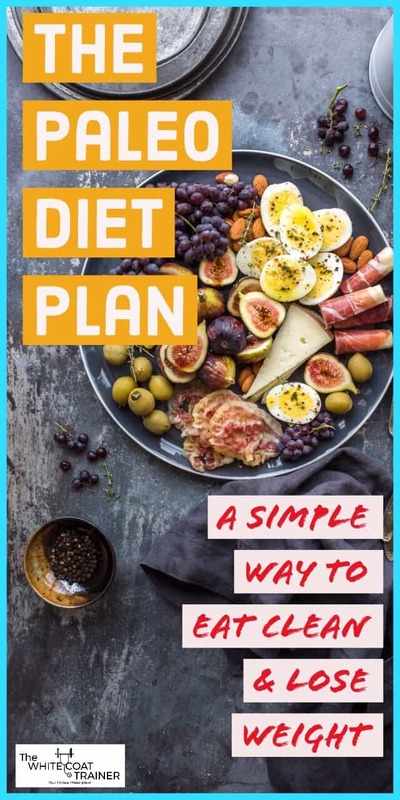 Out of all the diets that we have examined so far, the Paleo Diet Plan is definitely the simplest of them all. It has several advantages over other mainstream diets that simply ask you to count calories or to just juice. Given that there are only 8 food groups to choose from, and 7 rules you have to follow, busy professionals can certainly adhere to the Paleo diet with proper planning. If this is a diet that you feel you can implement into your hectic schedule, then give it a go! Either way, there is a lot that we can take away from the Paleo diet to implement into all of our lives. 1. Eat more REAL food, the kinds that are found in nature. 2. Decrease the amount of processed foods that you eat, I guarantee you will feel better. 3. Although we don’t have to hunt or gather our foods anymore, pretend like you have to. Walk every day. Exercise 3-4 times a week. So, what do you think of the Paleo diet? Do you agree with the evolutionary argument favoring this diet? Also, if you know someone who might benefit from reading this article, go ahead and share it with them. By signing up, you are giving us permission to send you periodic emails.